London, United Kingdom (14th March, 2017) — ASUS Republic of Gamers (ROG) today announced Strix GD30, a powerful gaming desktop featuring a sleek black-and-white design, with interchangeable front panels that allow gamers to customize the system to suit their unique style. Equipped with up to the latest 7th Generation Intel® Core™ i7 processors and NVIDIA® GeForce® GTX 1080 graphics, ROG Strix GD30 delivers unrivaled performance for incredible gaming and multimedia experiences. An advanced thermal system — featuring large air vents at the front and underside plus an isolated power supply chamber — provides improved airflow for better cooling and greater system efficiency. Exclusive ASUS Aegis III software enhances gaming experiences by allowing gamers to track CPU and memory usage, monitor networking status, and control fan speeds and ASUS Aura RGB lighting effects. 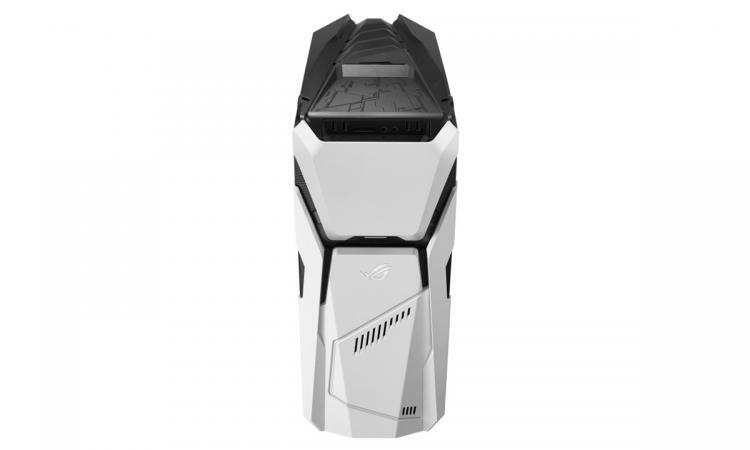 ROG Strix GD30 features a sleek black-and-white design inspired by futurism, space travel, science fiction, and cyberpunk themes. It has two removable front panels that can be attached or removed in multiple combinations for a total of six styles. An integrated, removable hanger can be used to keep a pair of gaming headphones always within reach, helping keep the gaming area organized. Inside GD30, there is room for up to six HDDs, two SSDs, five fans, and a water-cooling system, so gamers can expand and upgrade their system as needed. ASUS Aura RGB lighting lets gamers further stylize their system with a choice of over 8-million colours and multiple effects. The motherboard can display pulsing or static effects in a single colour or up to ten colours in a continuous cycle, and the cooling fans are even ringed with red LEDs that provide a bold accent. ROG Strix GD30 features up to the latest 7th Generation Intel® Core™ i7 processor with Turbo Boost, delivering clock speeds of up to 4.2GHz — up to 10% faster than previous-generation processors — for incredibly smooth gaming and multimedia experiences. GD30 is also equipped with up to the latest NVIDIA GeForce GTX 1080 graphics cards to ensure amazing performance and visuals when playing the latest AAA games. In product development tests, the GeForce GTX 1080-equipped GD30 performed 30 percent better than a GeForce GTX 980-equipped system. GD30 includes a USB Type-C™ (USB-C™) port and USB 3.1 Gen 1 technology for fast data transfer rates of up to 5Gbps. The reversible USB-C port also supports Quick Charge, which provides 15W (3A/5V) of power for rapid device charging. ASUS engineers created an intelligent thermal solution for ROG Strix GD30 that features large front and underside air intakes for increased airflow and more efficient cooling. 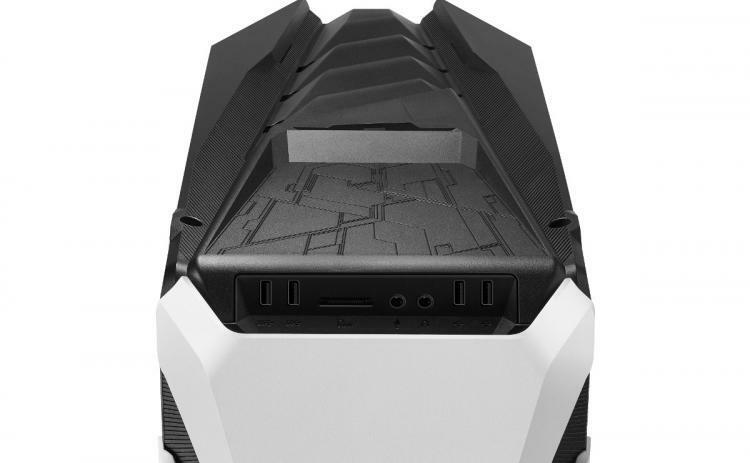 Additionally, a separate internal covered chamber for the power supply and SSD isolates airflow for better cooling and improved system heat dissipation. ASUS Aegis III is a system performance monitoring app that enhances gaming experiences by allowing gamers to track their system's CPU and memory usage as well as download and upload status. It also lets gamers control fan speeds and lighting effects, and provides automatic warnings if the system exceeds temperature or voltage thresholds. Aegis III includes XSplit Gamecaster, which enables easy gameplay recording and editing, and sharing on social media. Additionally, Aegis III gives gamers direct access to ASUS Sonic Studio, an audio application that offers a host of functions designed to provide high-end gaming audio and improved internet call, audio streaming, and recording quality. All ROG products are built with high quality and safety standards to provide gamers the best, most enjoyable experiences. The transparent side-panel on ROG Strix GD30 not only shows off the incredible ASUS Aura lighting effects on the motherboard, but also features an integrated iron screen with a stylish honeycomb design to reduce electromagnetic emissions. Results from the ASUS EMI testing lab showed that the level of Radiated Spurious Emissions — a measure of electromagnetic interference (EMI) — from ROG Strix GD30 was not only lower than international safety standards, but also lower than internal ASUS regulations, which are among the strictest in the industry. With ROG Strix GD30, gamers can enjoy a gaming system engineered to the highest performance and safety standards.